St. Edward's Cemetery is located off Main Street in Stafford. Set among rolling hills and green pastures, the entrance is on West Stafford Road (between Dunkin' Donuts and Kolossos Restaurant & Pizza). Hours of operation are daylight to dusk. The Cemetery Sexton is John Talbot. Please contact the Parish Office for arrangements - 860-684-2705. Click here for "Why burial in a Catholic cemetery?" brochure. Click here for Pastor Roland's June 2016 letter regarding cemetery rule changes. Inasmuch as this Cemetery is consecrated by the Church as a place of burial, a strict observance of properties is required. The complete set of Cemetery Corporation Rules and Regulations may be obtained at the Cemetery Office, 6 Benton Street, Stafford Springs, CT, 860-684-2705. The following highlights are herewith listed and are in effect. Section IV, paragraph 4-A (page 5) makes clear that the purchase of a plot or niche in St. Edward Cemetery does not transfer ownership of the land or niche to the purchaser. The lot or niche owner is only "buying" the privilege of burial in that lot or niche. Section IV, paragraph 4-E (page 6) and Section IX, paragraph 9-G (page 15) makes clear that the erection of shrines, gardens or shrubs around the monument is not allowed. Any such items need to be removed by July 1, 2016 or they will, as time permits, be removed by the cemetery staff. Section XI, paragraph 11-A (page 17) is a reminder the dog walking in our Cemetery is no longer allowed. Too many dog walkers have been allowing their pets to do their "business" on the graves of some else's beloved deceased. This must stop. Obviously, fresh (natural) flowers are preferred. Artificial flowers are completely discouraged unless they are kept in containers and not stuck in the ground thereby affecting rule no. 2 above. Wilted flowers - and other refuse - must be placed in the cemetery dump - not in the nearest gutter or atop some other grave. Flags are to be placed as close to the headstone as possible. Memorial Work - the size and design must meet cemetery specifications. Please contact the Parish Office for specifications information. Please be advised that bicycling, skateboarding, rollerblading and recreational walking are prohibited. Anyone doing so does so at their own risk. (Flowers and/or potted plants that are left uncared for will be discarded two (2) months after the Holiday the flowers, plants or decorations celebrate. The daily closing hour is dusk. It is understood that the St. Edward Cemetery Corporation cannot be held responsible for any damages to grave decorations and memorial stones. We appreciate your cooperation. Currently this Cemetery is in good shape, but additional improvements will be made as time and finances permit. In the past decade the number of people who have chose cremation as part of their funeral rites has quadrupled. As a response to this, most cemeteries have established sites for the erection of a Columbaria for the interment of ashes. 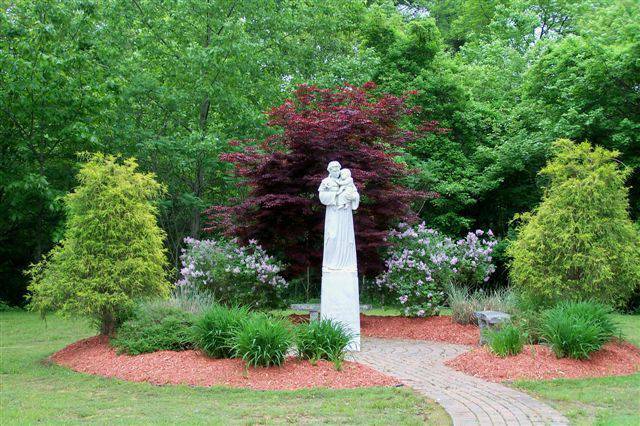 By the end of June (or early July) 2016, there will be two Columbaria erected in St. Edward Cemetery in the area around the statue of St. Anthony with 48 niches for urns in each. Since the Church views our human bodies as the Temple of the Holy Spirit, the laws of the Church do not allow for the scattering of cremains. They are to be kept together and property buried. PRE-CONSTRUCTION SALE: During the month of June 2016, niches in our upcoming columbaria will be $100 off the current price. This offer ends June 30, 2016 at the close of our business day at 4:00 p.m. Please contact the St. Edward Cemetery Office, 860-684-2705. Click here for more a copy of the Columbaria brochure including pricing. 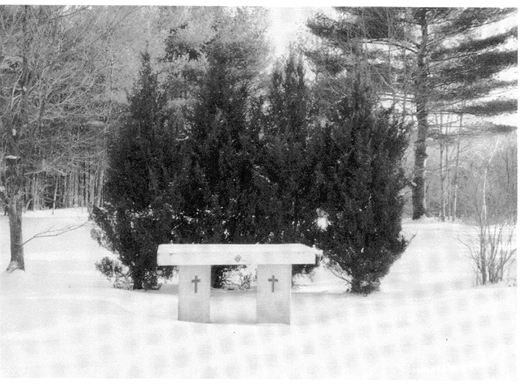 Click here for the cover of the Columbaria brochure including a picture of a Columbaria.